Dr Jessica Walton is a Senior Research Fellow at the Alfred Deakin Institute for Citizenship and Globalisation at Deakin University working on projects in the anthropology and sociology of education and migration studies in race and ethnic relations. She received her Bachelor of Arts (Honours) in anthropology at the University of Virginia (USA) and completed her PhD research in anthropology at the University of Newcastle (Australia). 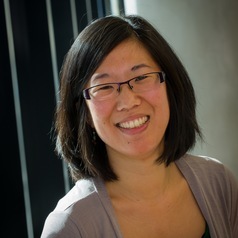 She is currently conducting an ethnographic study funded by an Australian Research Council Discovery Early Career Researcher (DECRA) grant that examines how children in South Korea and Australia experience online cross-cultural exchanges through their school partnership. She is also a Chief Investigator on an international collaborative grant funded by the Academy of Korean Studies with a focus on the experiences of Korean Australian adoptees.